Accommodation can be booked at Stayokay Maastricht and the Kaboomhotel . 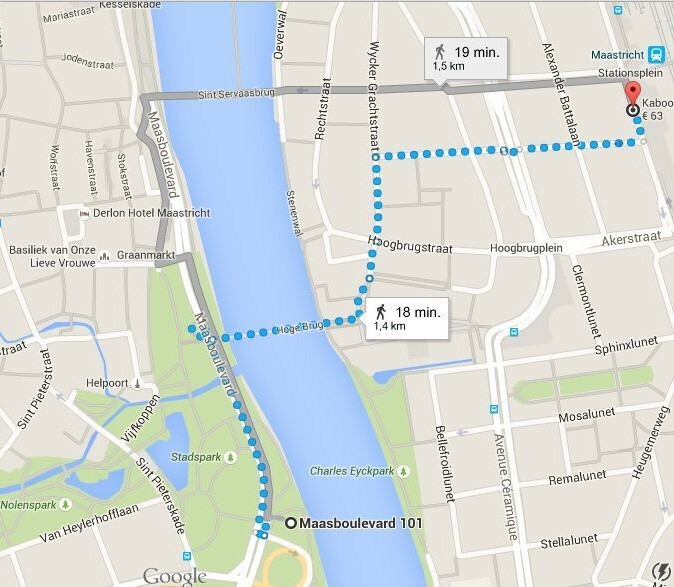 Both Stayokay Maastricht and the Kaboomhotel are fair-priced facilities. They offer a discount for this occasion. StayOkay Maastricht: we have an option on the reservation of all the rooms from now on until the end of November this year. We can’t guarantee that you will find a room in the hostel after that date. (discount code STAY2015MAA). Participants for whom sharing a double room in Stayokay is no objection, please let it be known via your subscription. In case of problems with the reservation or payment, or the ability to use the discount code, it is possible to reserve a room by phone or e-mail .